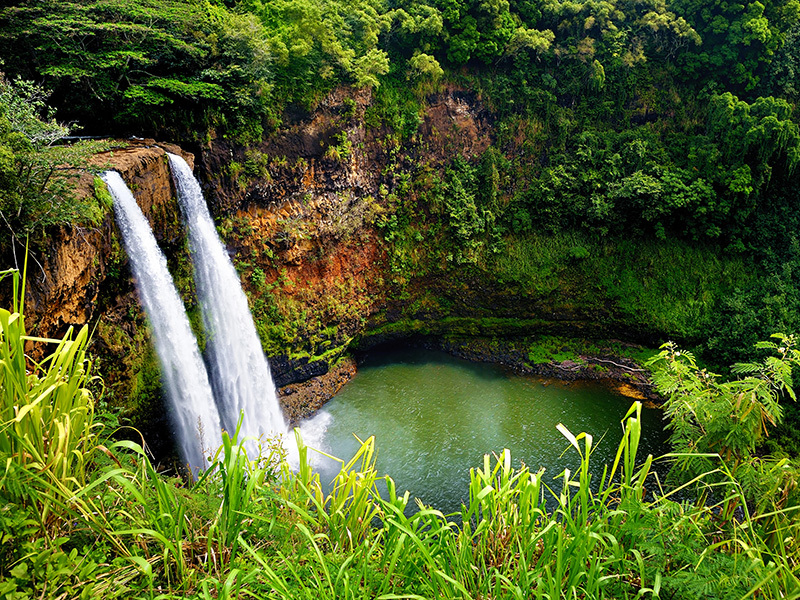 Hawaii is one of the most popular honeymoon destinations in the world. The glimmering sand, exciting activities, incredible natural wonders, world-class shopping, and laid back elegance all contribute to exceeding most travelers’ expectations. The islands feel exotic while being first world, and no passport is needed. If you’re allergic to children, be careful! Most resorts are very family friendly, and there aren’t any adult-only resorts. From an absolutely first-class vacation to an affordable quick get-away, dreamy-eyed honeymooners have an expansive range of options to fit any budget. Hawaii does not have all-inclusive resorts (although a few hotels offer minimal meal plans), so visitors need to be prepared to spend money on the ground. To ensure you have enough spending money for meals, drinks, tours, and incidentals, a good rule of thumb is: divide by half the combined cost your airfare, hotel, and car. 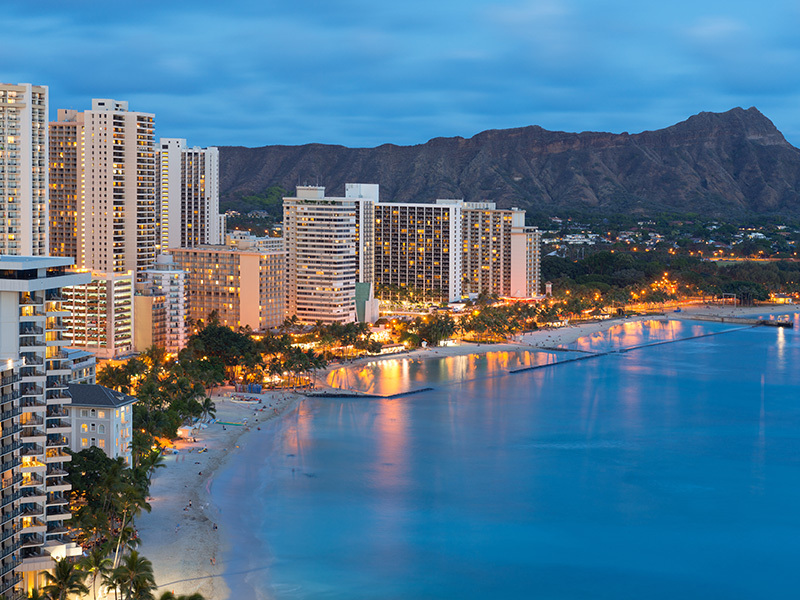 Oahu is generally the most affordable while the other islands can be costly. Resort fees are the norm and will run between $15 – $30 per night, payable upon arrival. Honeymooners often split their stay between multiple islands, especially if both people have different wish-lists. For example, you may fly from the mainland to Maui and stay for several days, fly to Oahu for the second half, then fly directly to the mainland. This routing gives the couple a wider variety of options while cutting down on costs and time. It’s hard to believe that a destination so remote, so exotic and so magnificent could be part of the United States. But Hawaii is all of that, and so much more. 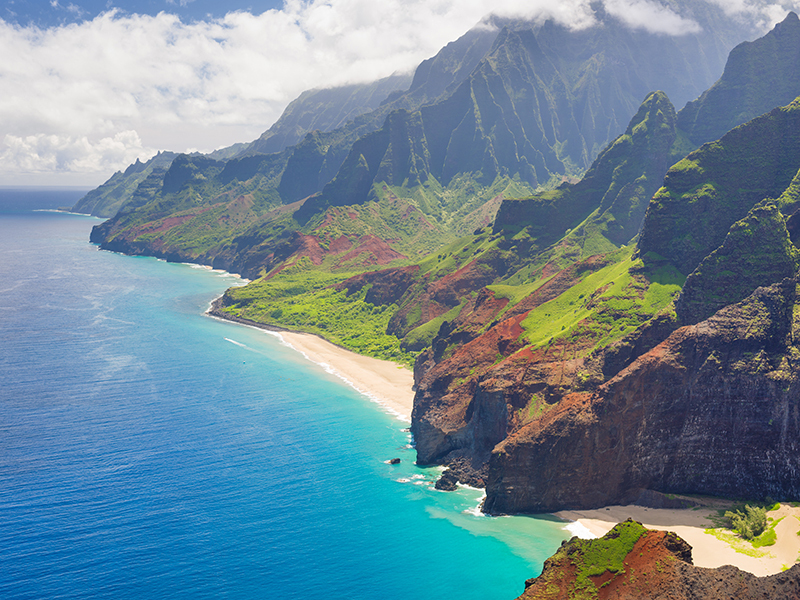 When you picture a perfect paradise in your imagination, chances are it looks a lot like Hawaii. Its waters so blue, they seem other-worldly. Its beaches pristine, you feel as if you could be the first human who ever stepped foot onto the smooth glimmering sand. Its forests so lush, they shine like newly cut emerald. Its’ sunsets so brilliant, the sky seems ablaze with fire. Its volcanoes so imposing, you can only stand back and stare in awe at the wonders nature. People who have traveled to Hawaii will save a piece of it in their hearts. Honeymooners cherish the golden days of unbridled romance. Families treasure the days of welcoming bliss under a shining sun. Adventurers thrill at the thought of catching the perfect wave. 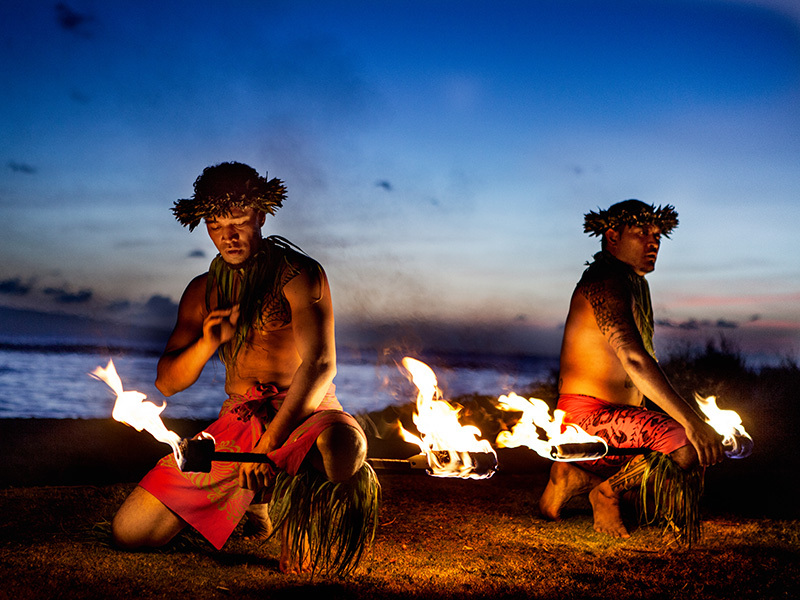 With extraordinary natural beauty, fascinating culture, rich history and endless activities, Hawaii can be all things to all people – or something unforgettable just for you. As Hawaii is subtropical, the weather is 80 degrees high year around. Most of the year, all day long, clouds form over the mountains and roll off to the beach. It can sprinkle for 5 minutes with the sun shining, then the clouds burn off and it’s completely sunny. Hurricanes are rare but possible.